Searching for a movie to watch on a rainy evening last week, I came across the controversial 2014 hit “The Interview.” Given the current tensions between North Korea and the rest of the world, it seemed the perfect choice. 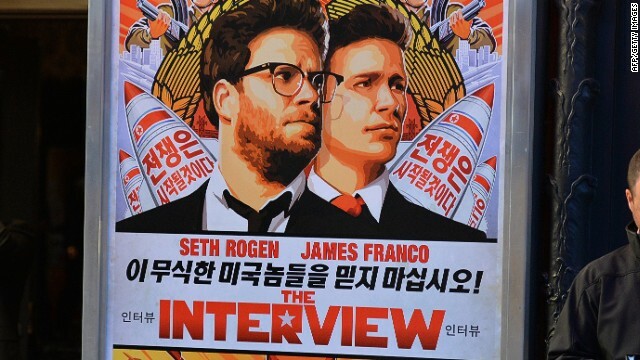 Starring Seth Rogen and James Franco, “The Interview” is a satirical spy comedy that raised the ire of North Korean dictator Kim Jong-un to the point that he threatened “stern and merciless retaliation” against the United States if Columbia Pictures released the film. The studio delayed the release from October 2014 to December and edited out some of the most politically unacceptable parts. Sony made it available for online viewing on December 24 and in a limited number of theatres on Christmas Day and soon became the target of a massive cyberattack almost certainly orchestrated by North Korea. The film has grossed more than 40 million dollars in digital rentals, including the $3.99 I paid to watch it. Here’s the plot. Rogen and Franco are journalists on the tabloid TV show “Skylark Tonight.” It turns out that Kim Jong-un is a huge fan of the show and invites them to meet with him at the presidential palace in Pyongyang. When the CIA learns of the invitation, they recruit the pair to assassinate Kim by exposing him to a ricin strip during a handshake. Franco is initially charmed by Kim and eager to develop a friendship. But when he discovers the dictator’s true colors, things turn serious. Ridiculous? Yep. “The Interview” is one of the silliest movies I’ve ever watched. It’s also one of the crassest and crudest. Anyone offended by sexual and toilet humor, drug use, graphic violence and never-ending profanity might want to think twice about renting it. But here’s the thing. I’m put off by everything on that list, yet I don’t regret for a minute the two hours I spent watching the movie. Why? Because it presents terrifying truths about what has been called “the most dangerous and unpredictable country on the planet.” While it’s easy to make fun of a chubby little narcissist with a goofy haircut and a boatload of insecurities, Kim Jong-un is no laughing matter. He’s proved himself a ruthless dictator more than willing to execute his enemies, starve his own people to death and use his considerable military might to destroy as much of the world as he possibly can. I have no idea whether the 45th President of the United States has seen “The Interview.” Nor do I know if it’s on the radar of the leaders of the other nations that must have a hand in stopping this egomaniacal madman with an arsenal of nuclear missiles. But it wouldn’t hurt them to give the movie a look-see. Just so they won’t, for a single minute, be lulled into complacency.